With our vast experience & knowledge in this field, we are engaged in providing a quality-assured range of Non Sparking Diagonal Cutting Plier. 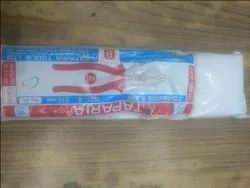 Heavy head for long life with red smooth sleeve. 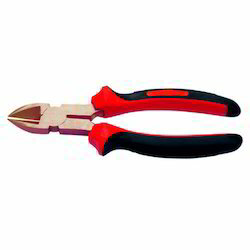 With the ability to cut wire and remove small nails, these pliers are noteworthy because their jaws are not made to grip. Our company is involved in the manufacture, export and wholesale of Heavy Duty Diagonal Cutting Plier that can be availed in a varied range of sizes, so as to cater to the diverse needs of the clients. Offered side and diagonal cutting pliers are used for bending and compressing various materials. We are presenting excellent quality assortment of Diagonal Cutting Plier. Leveraging over the skills of our qualified team of professionals, we are engaged in providing Diagonal Cutting Mini Plier.